Chicken En Papillote, Tarte Flambes, Parisian Macarons. No chicken nuggets here. Little Feet in the Kitchen. 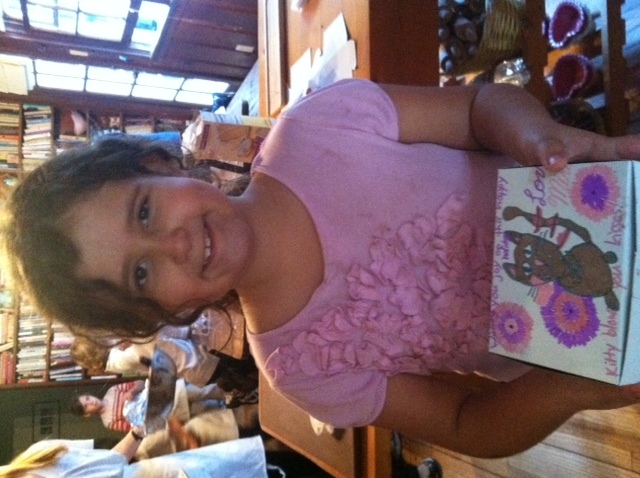 A short history of chocolate, a Chocolate 101 lesson, followed by a sweet chocolate competition. $60. This class is dedicated to making and decorating Valentine’s Day Cookies. We’ll bake classic heart-shaped butter cookies from scratch, create royal icing and buttercream, and learn the basics of piping and decorating. $60. Space is limited to 10 children per camp. Stuffed Mini-Pumpkins with Sage & Gruyere, Balsamic Glazed Brussels Sprouts, Chorizo Corn Bread Stuffing. Think your child would rather cook – and eat – chicken nuggets? Think again. 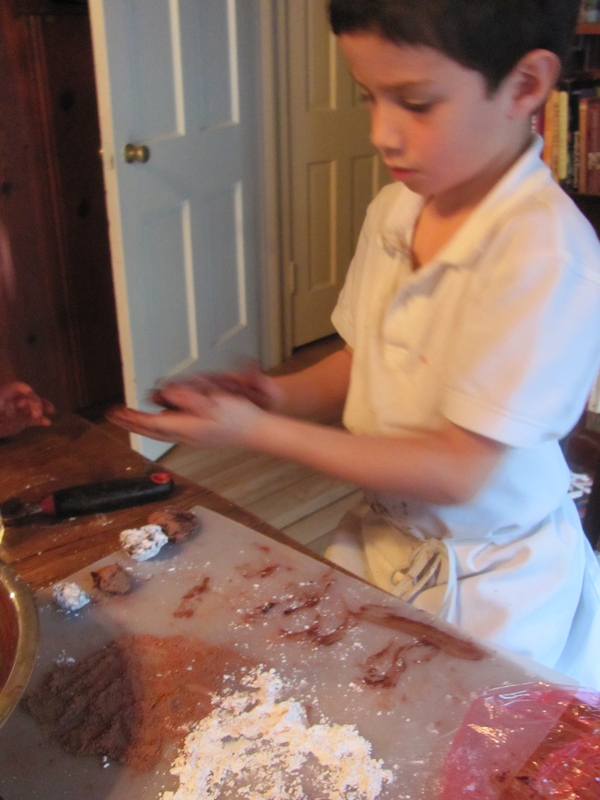 At Little Feet in the Kitchen, cooking becomes a bridge to developing young palates. It’s pie season! We’ll be making Caramel Apple Tarts, Pumpkin Pop Tarts and more. $60. Help mom create some new classics: Mini-Stuffed Pumpkins with Gruyere, Chorizo Cornbread Stuffing* and Haricot Verts with Glazed Shallots and Tarragon. $60. ADULT CLASS: Autumn Weeknight Meals – Saturday, November 23 – 1 p.m. –4 p.m.
*Class size is limited, so reserve early! 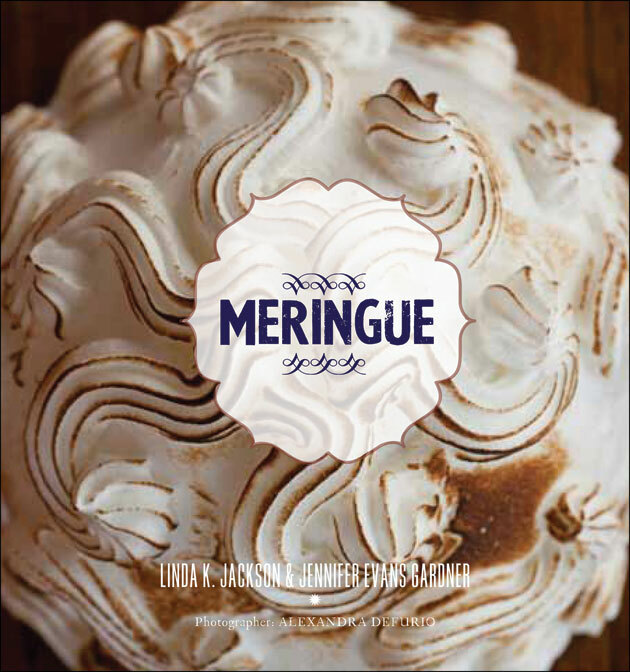 To all of you who attended the book launch of my new cookbook MERINGUE (Gibbs Smith, Jackson and Gardner, photographed by Alexandra DeFurio), at Next Door Tapas Lounge on September 30, thank you for your support! If you missed it, don’t worry, we will be having more events. 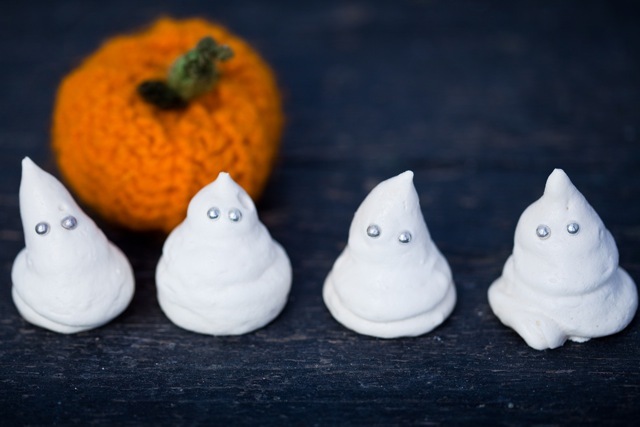 There is an entire chapter devoted to HOLIDAY MERINGUE DESSERTS, including Meringue Ghosts, Hanukkah Lights, a meringue Buche de Noel and Croquembouche, and so much more. We are thrilled to announce that not only can MERINGUE be found at your local bookstore and wonderful gift store such as Emerald Forest in Studio City, but also at our favorite store Anthropologie! (and yes, of course, Amazon!). Please check it out if you get the chance. Meanwhile, at Little Feet in the Kitchen – the cooking school for ADVENTUROUS young chefs – we are thrilled that the drop in temperatures has inspired us to head back to the kitchen. With Halloween, Thanksgiving, Hanukkah and Christmas right around the corner, we’ve put together some wonderful holiday cooking classes. 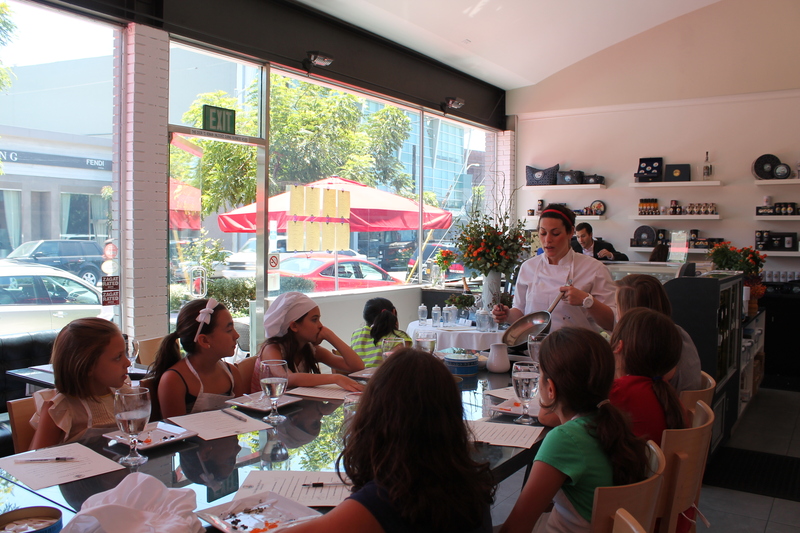 Check out the COOKING CLASSES/CAMPS tab for all the details and I hope to see you soon! 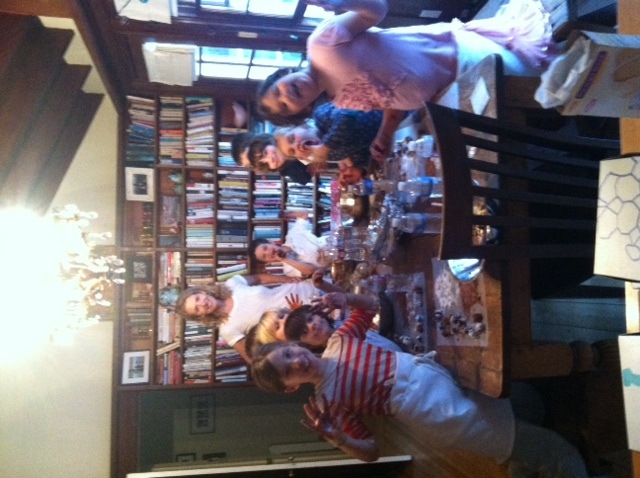 Today at Little Feet in the Kitchen we really took my “adventurous young chefs” philosophy to the limit! 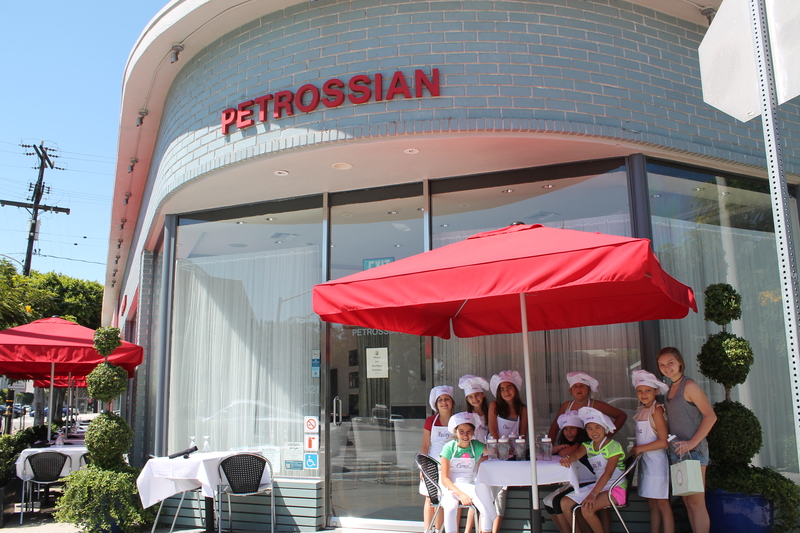 As part of my crusade against junky kid food, I took my students on a field trip to the elegant, world famous caviar emporium (and incredible restaurant) Petrossian in West Hollywood. 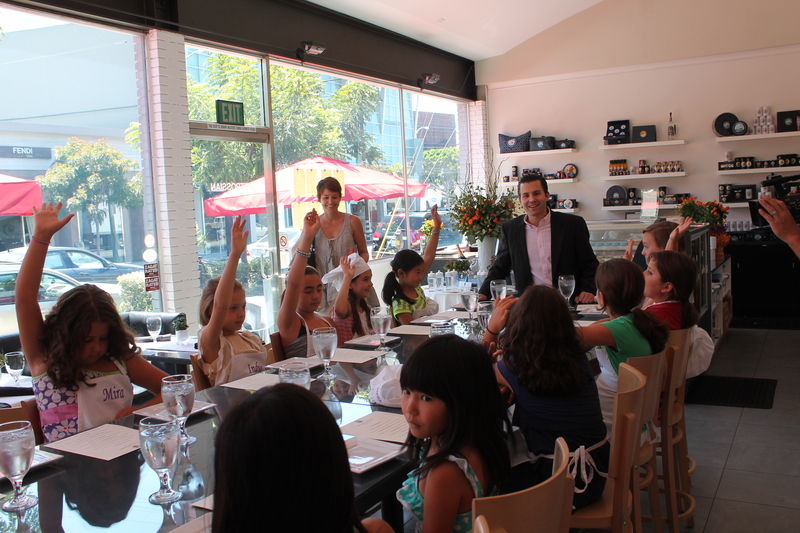 That’s right, children ages 6-12 were introduced to about 10 different types of caviar by the charming GM Christopher Klapp, who engaged them in a lively discussion on the history and geography of caviar, as well as the intricate method by which it is created over an 8-10 year period. If you’re curious as to how many of these children tasted the caviar, read on. You might be surprised to discover that some of them actually loved it. 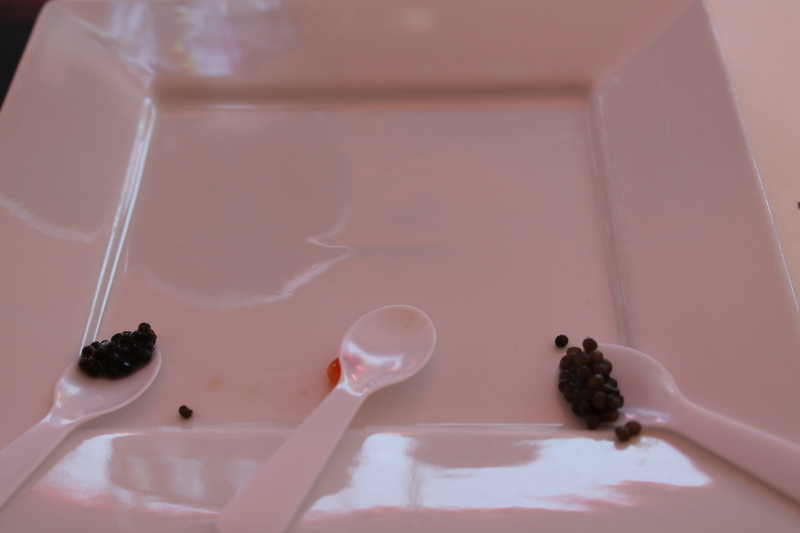 Once we finished the decadent caviar tasting (and learning the prices per gram of each one! ), the beautiful and incredibly talented Chef Giselle Wellman did a scrambled egg demonstration. If you can call what she does simply “scrambled eggs,” that is. Chef Giselle then created exquisite scrambled egg-filled eggshells topped with whipped cream and caviar for each of us, which we ate with tiny spoons. As if that were not enough, the staff then presented us with platters of the most delicious smoked salmon I have ever eaten, along with warm bagels, fluffy whipped cream, capers, egg and all the trimmings. It was a feast. To me, it felt like Christmas, New Year’s and my birthday all rolled into one. We didn’t want to leave, but it was time to say goodbye. 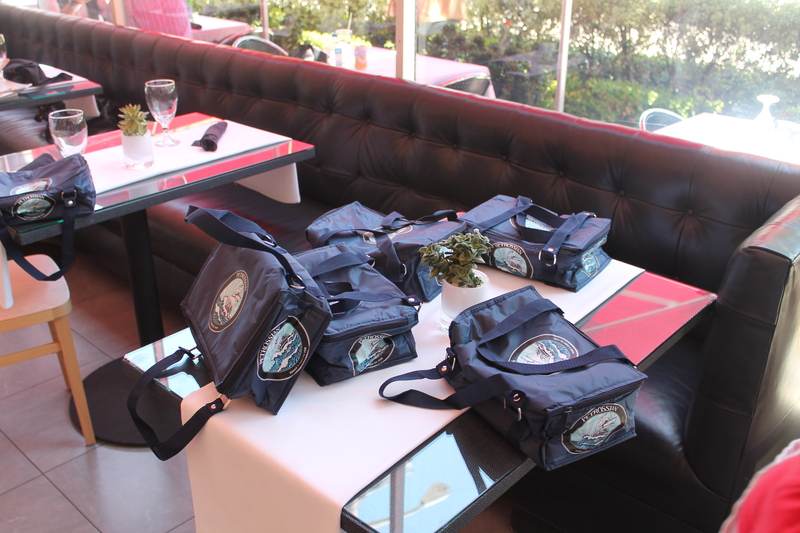 Petrossian made it easier by gifting us with our very own swag bags — chic lunch bags filled with all kinds of goodies. 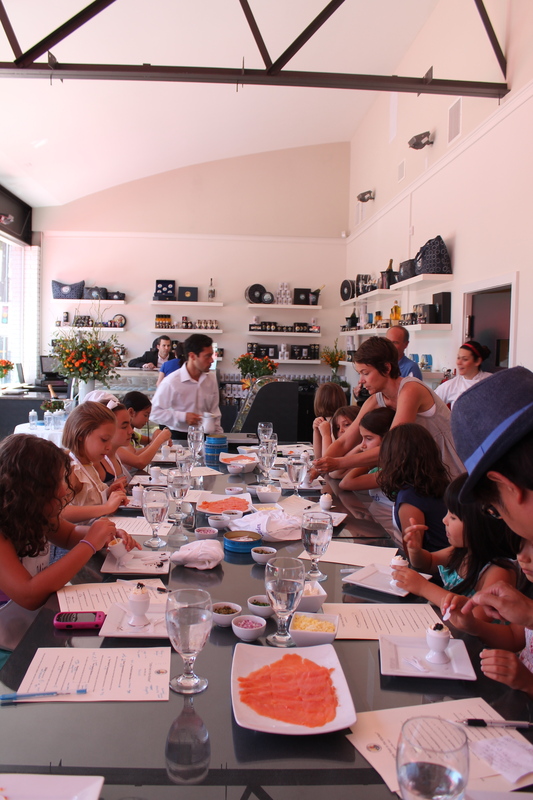 We vowed to come back to visit again soon, and the kids couldn’t wait to tell their parents about their adventure in caviar. 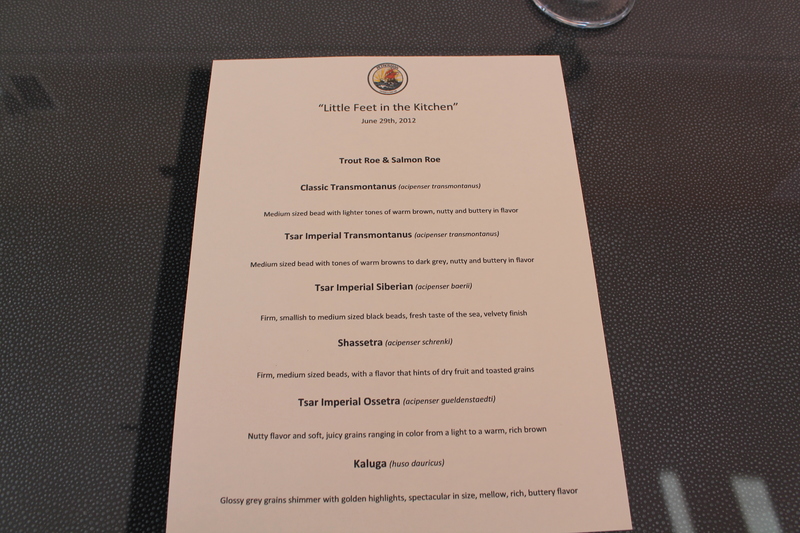 Christopher Klapp and Chef Giselle Wellman were so gracious and generous with their time, and it was so much fun. 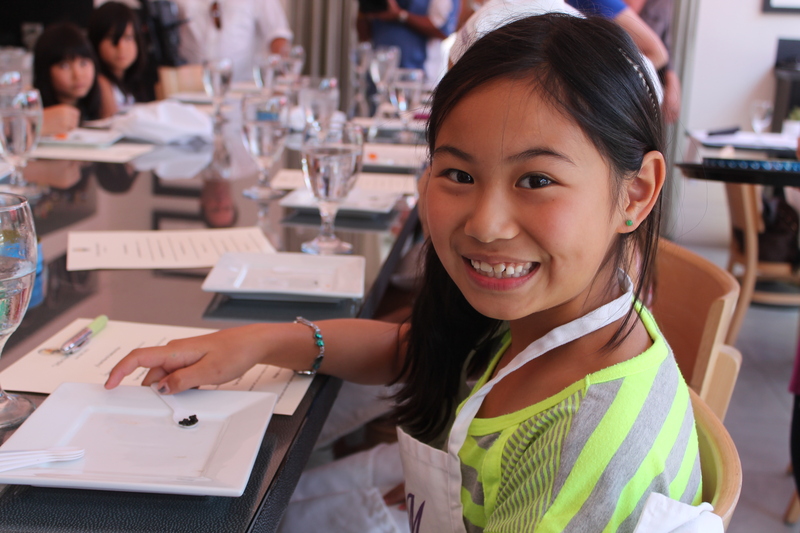 Wait – you wanted to know how many of the children actually LIKED the caviar? Out of 11 children, only two of them wouldn’t taste it at all, and a few more didn’t love it. Everyone else — nearly half of them — ate every last drop. So the next time you assume that you have to make a separate meal of chicken nuggets for your 7 year old, consider an alternative. You could just let them try what you are eating. When I said “no kid food,” I meant it!! 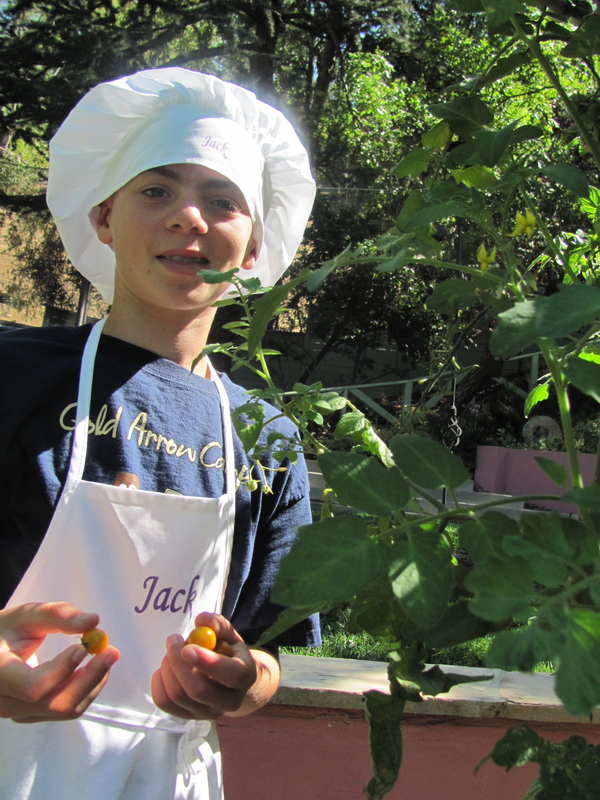 Time To Sign Up For Summer Cooking Camp! It happens every year. 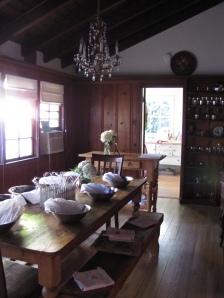 Just as I am about to put up my cooking camp dates, they are already almost booked up! I don’t do this on purpose; it’s just that I have been so busy writing my new cookbook and my food and travel articles! More importantly, I am still being inspired in terms of what I think we will be cooking. I do know this much: we will definitely be doing everyone’s favorite Meringue Madness classes in celebration of my upcoming cookbook MERINGUE, which I co-authored with Linda K Jackson (Gibbs Smith, August 2012). I’ve included the cover photo so that you can keep an eye out for it. Just like in class, it’s full of magical meringues in the form of Pavlovas, Pies, Cookies, Marjolaines, Dacquoise, Frostings, along with Heavenly Creations such as Baked Alaska and Meringue Croquembouche. It even has a Kids’ Chapter called “Little Clouds” that includes some amazing desserts such as S’moringues, Apple Cinnamon Nests and Death By Milk Chocolate. The photos are gorgeous and were taken by my wonderful friend Alexandra DeFurio. Check back here for book signing dates and I hope our new cookbook will find its place on your bookshelf soon! In addition to Meringue Madness, we’ll be doing all of our favorite classes here at my Studio City-based cooking camp such as A is For Appetizer, Retro Recipes (mini-meatloaves, cherries jubilee, roast chicken, Beef Wellington, etc), Something’s Fishy (including Salt Crusted Striped Bass in a Lemon Herb Vinaigrette and a Miso-Glazed Black Cod), Egg Stravaganza, Gnocchi 101, Buckles, Cobblers and Pies, Moroccan Magic, History of Chocolate and so much more. I’m also creating a class called Good Grains, all about cooking with grains such as farro, quinoa, couscous and various types of rice. What else would I love to share with you? How about… stuffed zucchini flowers with homemade pesto, vegan sliders (seriously, they are delicious), mini-caramelized tomato tarte tatins? I don’t know about you, but I can’t wait for summer! And of course, every Thursday is the Iron Chef contest with a secret ingredient, and every Friday is a field trip to a bakery, restaurant or local farm. You get the idea. So even though my daily themes aren’t up yet, I promise that we’ll be cooking up something amazing each week. 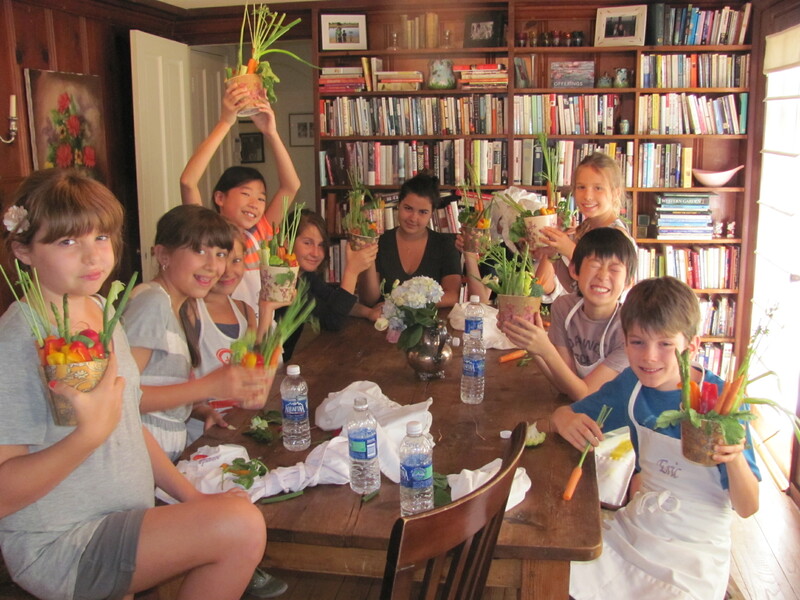 For summer cooking camp details (including cost, weeks, etc. 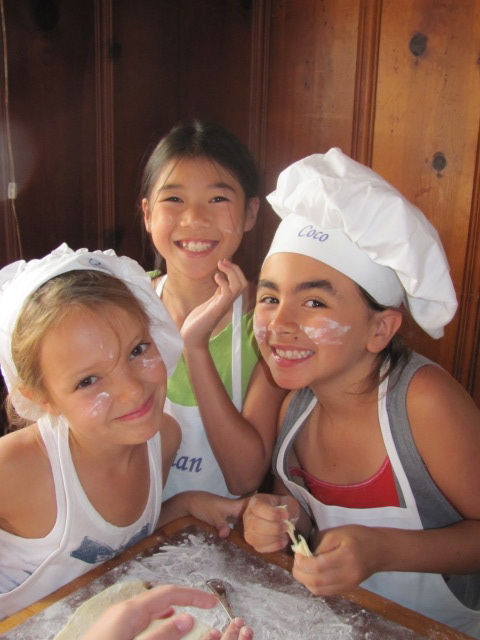 ), go to the Cooking Classes/Camps link on the left side of this page. 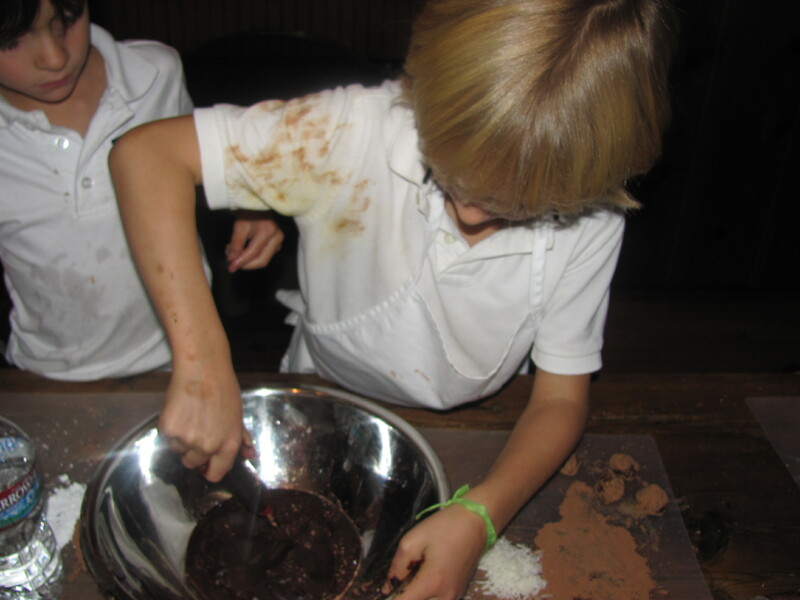 Spring is almost here, and at Little Feet in the Kitchen – The Cooking School For Adventurous Young Chefs – we’re not only thinking about coloring eggs and making chocolate-dipped matzoh, but creating some of our own traditions as well. 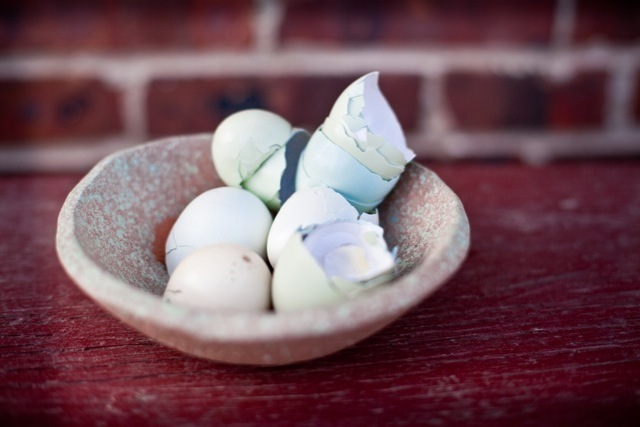 Instead of simply dyeing eggs, we’ll be creating natural tie-dyed eggs, and we’ll be stepping up our chocolate matzoh, too, adding a sprinkle of artisanal sea salt and a drizzle of caramel to make it our own. 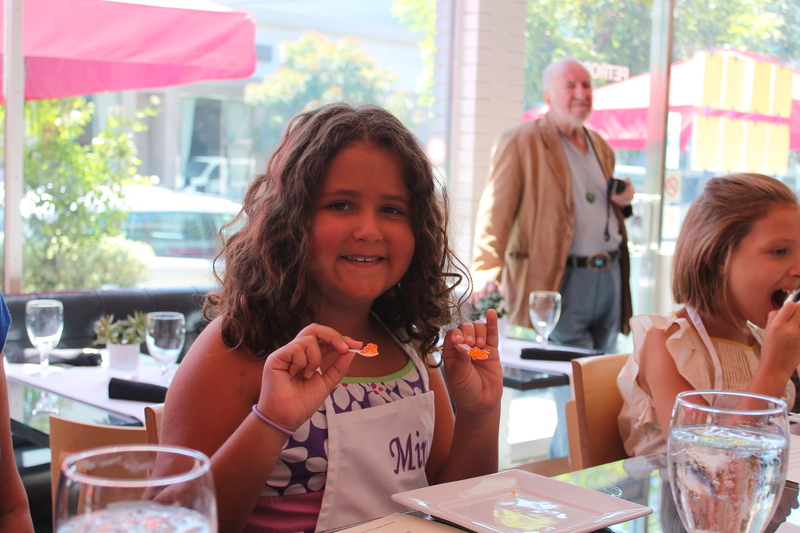 For more details on cooking classes and more, go to the Kids Cooking tab on the left of the page. Happy Easter, Happy Passover and of course… Happy Spring to you! Valentine’s Day is coming up, which for many means just one thing: chocolate. One might not consider chocolate to be “adventurous” cuisine for children, however, bear with me. Most American children, and dare I say, European children as well, eat only a certain type of milk chocolate, and they eat it in the form of chocolate bars purchased in a store. Not very adventurous. 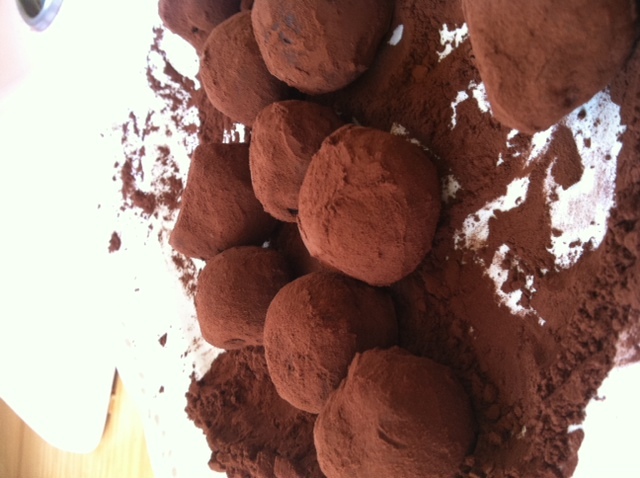 But truffles made of molten dark and semi-sweet chocolate, a hint of (decaf) espresso, and rolled in a fine powder of Valrhona dark chocolate cocoa… now that seems a bit more challenging to a five or six year-old’s palate, no? Especially when the lesson includes talk of what a real truffle is, how it is found (hint: oink oink), and why the chocolate truffle is named after that tres cher funghi. In any case, I am proud that I have turned out 10 more people into this world who know how to make good chocolate truffles. My work, at least for now, is done. For our very simple and very delicious truffle recipe, please click on the Recipes For Adventurous Young Chefs tab on the left. Happy truffle season! 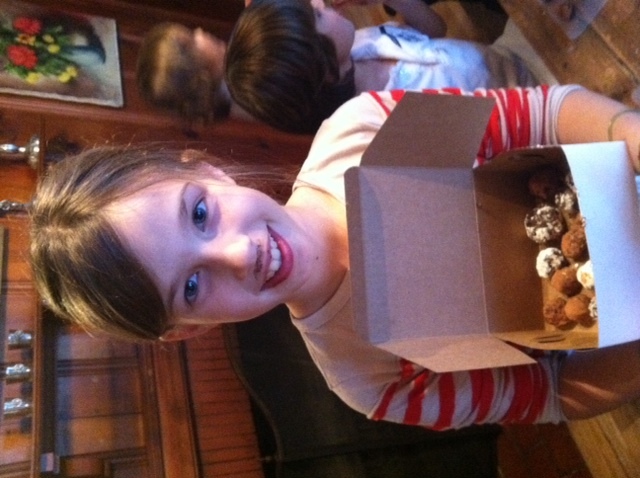 We just finished our Holiday After-School Cooking Series, but some of us just can’t stay out of the kitchen. 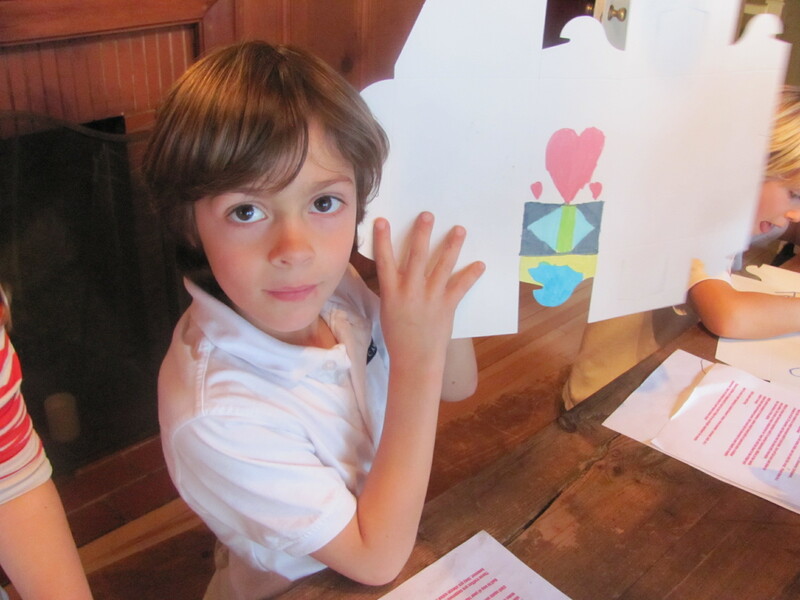 This year, we have some very special holiday classes. While mom and dad head out to finish their shopping, we’ll be in Elf Camp, baking and packaging our own stunning homemade edible gifts. In this class, kids will make and package these pretty jeweled windowpane cookies from Austria. 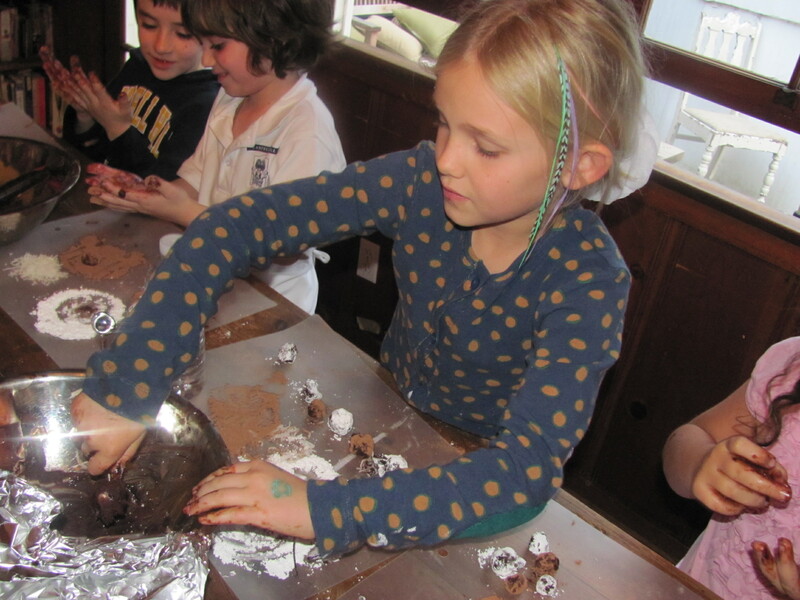 In this 4-hour camp, kids will make and package gifts of candied citrus peel and luscious chocolate-peppermint bark. 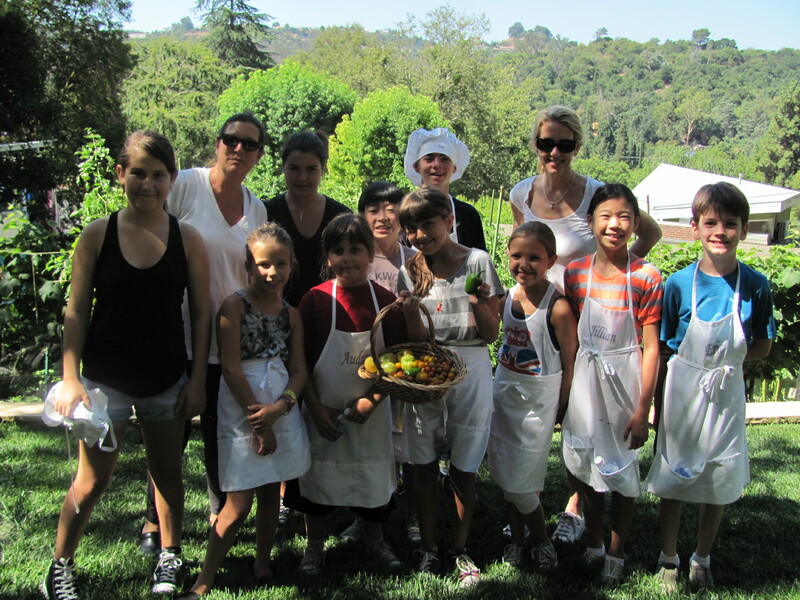 In this 4-hour camp, kids will make and package bags of peanut brittle, and sweet jars of festive chutney. 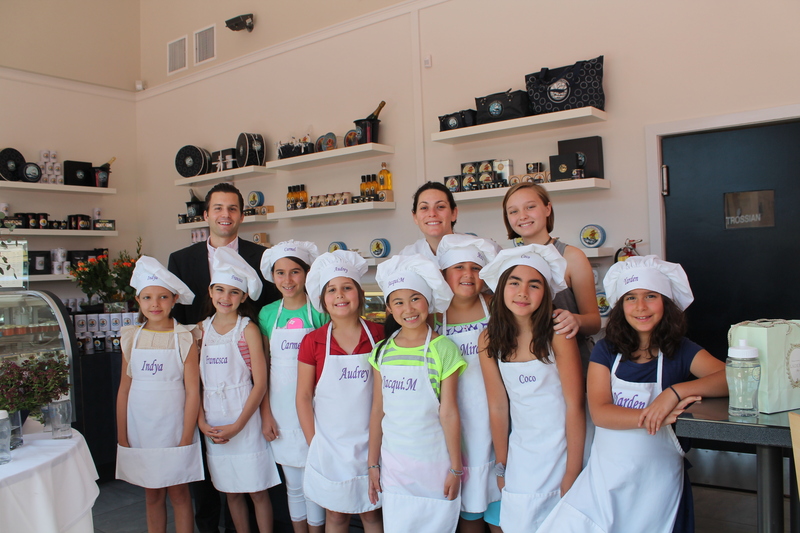 For more info, click on the COOKING CLASSES tab on the left (under COOKING WITH KIDS)… and sign up now! This phrase is a good one to remember when cooking… or in my experience, baking. Whenever you try something new and challenging, there is a chance that you will fail. So what? Truth be told, I’ve had my share of kitchen disasters throughout the years. A spinach-ricotta gnocchi that turned to glob, Crème brûlée that wouldn’t set, a chicken tikka that I had marinated in VANILLA yogurt, badly burned toast… you get the idea. Still, strangely undaunted, I pressed on. My co-author and I are currently testing recipes for a meringue cookbook we are writing (Gibbs-Smith 2012), which will include those sweet clouds the form of cookies, pies, pavlovas, vacherins and marjolaines… just to name a few desserts. Which brings me to the other day. 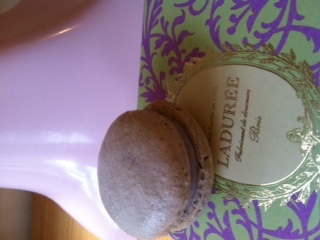 I wanted to create a Violet Macaron recipe in honor of those I have eaten at Laduree in Paris. I have a few recipes for macarons already, but for some reason, when I started baking, the violet macarons just weren’t turning out. At all. Test #1 – The meringue whipped up perfectly, and became a beautiful shade of violet from the few drops of food coloring. The almond/powdered sugar mixture was ground finely and I made sure to fold it carefully into the meringue. Perhaps too carefully, because the cookies came out lumpy. They also didn’t have enough violet essence. 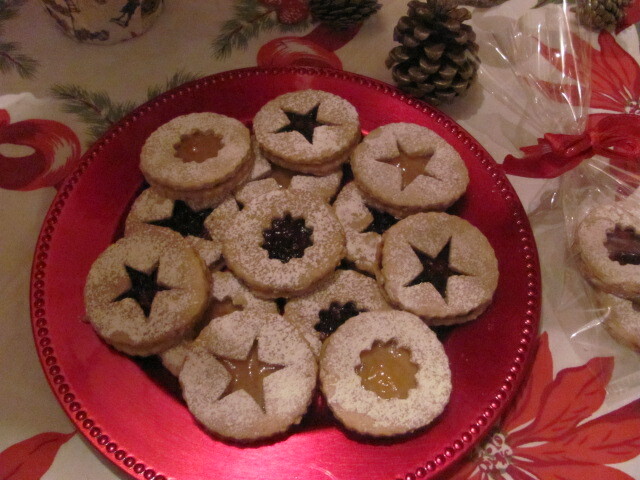 No matter how I tried to style the assembled cookies, they looked awful. A bit of research, and I had the answer. I would sift my almond/powdered sugar mixture next time, and add a drop or two more of violet essence. Test #2 – The second batch tasted better, but were ugly! They had turned brown around the edges and didn’t have the pretty shine I was looking for. Grr. I set about separating more eggs and leaving them out to get to room temperature. Test #3 – I was getting frustrated by now. How many eggs had I gone through, anyway? Maybe my oven wasn’t calibrated correctly… Never mind. I repeated the steps once again, whipping, sifting, folding, praying… This batch wasn’t awful, but where were the coveted macaron feet? I had left them sitting on the baking sheet for a full 15 minutes before baking them! Not only that… they were also flat. 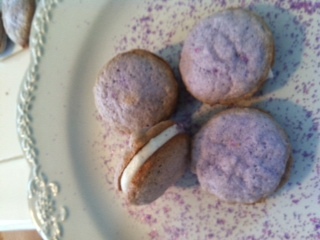 I called my co-author to suggest the possibility of dropping the violet macarons and substituting chocolate instead. 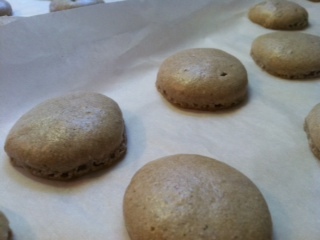 I had made chocolate macarons many times with great success. Though she was perfectly open to chocolate, and I could have ended my misery there, something stopped me. Was I really going to let cookies beat me? I got my eggs out of the fridge, ready to try again. This time, after combining the almond/sugar and meringue, I gave the batter a few extra “folds” with my spatula. As I let the mixture fall into the bowl, it seemed slightly more liquid. I carefully piped perfect rounds onto my parchment paper liner, and this time I left them sitting out for nearly 30 minutes to get the desired “feet.” For good measure, I placed another baking sheet under the first to make sure they didn’t brown. I popped them into the oven and crossed my fingers. The fourth try was a success!! 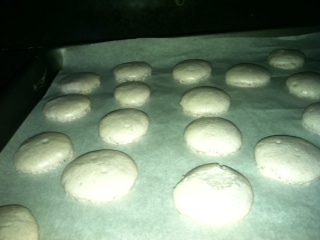 The macarons came out perfectly, with those darling little “feet” that the ones at Laduree have. The color was pretty, too: violet, not obnoxiously purple. The violet essence against the fluffy vanilla-violet buttercream was perfectly balanced. I found an old Laduree box and couldn’t help myself. I snapped a shot of my final product on top of the box (SEE PHOTO AT THE TOP OF THIS PAGE – YES, THAT IS ACTUALLY A MACARON THAT I MADE!). 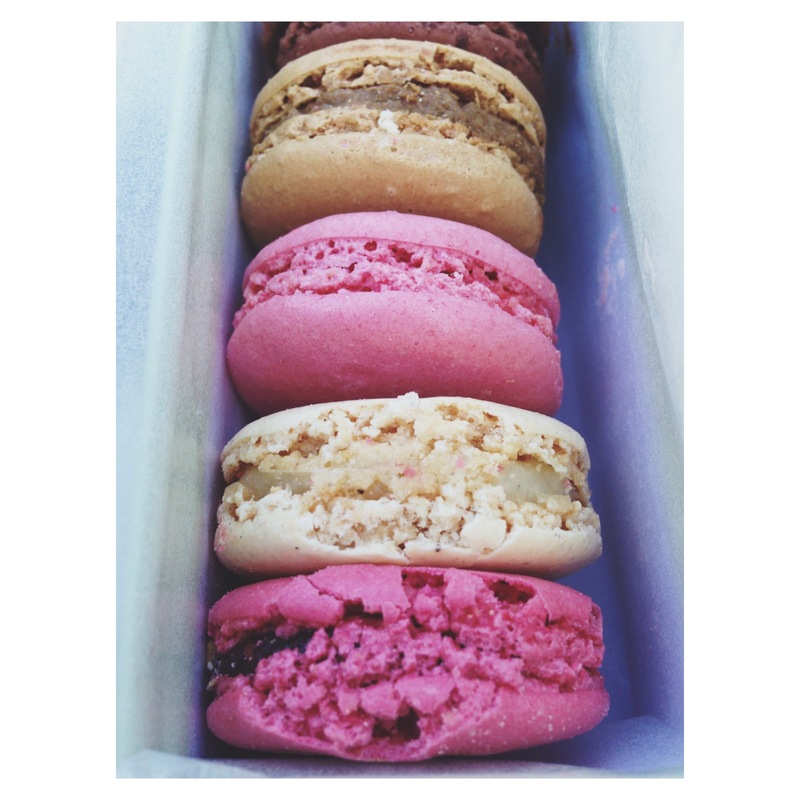 While Laduree doesn’t have anything to worry about, I felt proud that I finally achieved success. The violet macaron recipe will be in our new cookbook, but here’s a chocolate one to try in the meantime (see RECIPES FOR ADVENTUROUS YOUNG CHEFS). 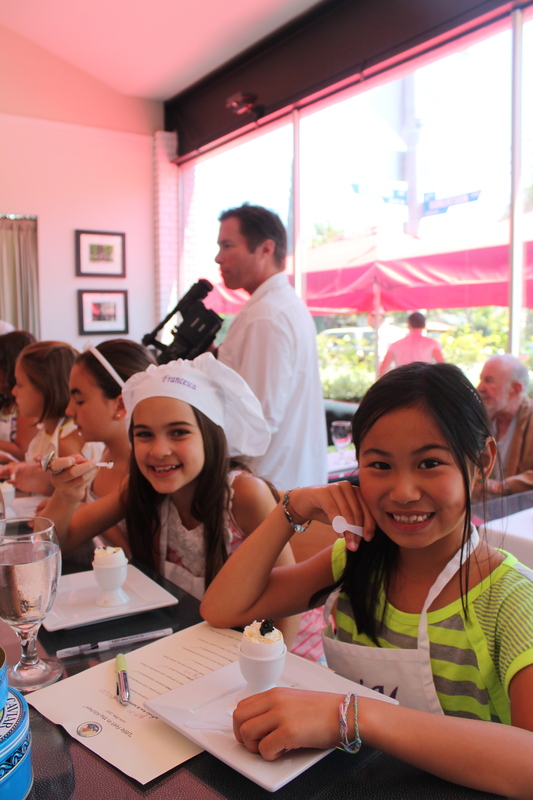 Welcome to Little Feet in the Kitchen, the blog and cooking school for adventurous young chefs – no kid food allowed! In Los Angeles, getting farm fresh ingredients is easy, with so many local farms delivering directly to your home, and services such as Farm Box LA, who act as middle men, choosing all the best produce for you. 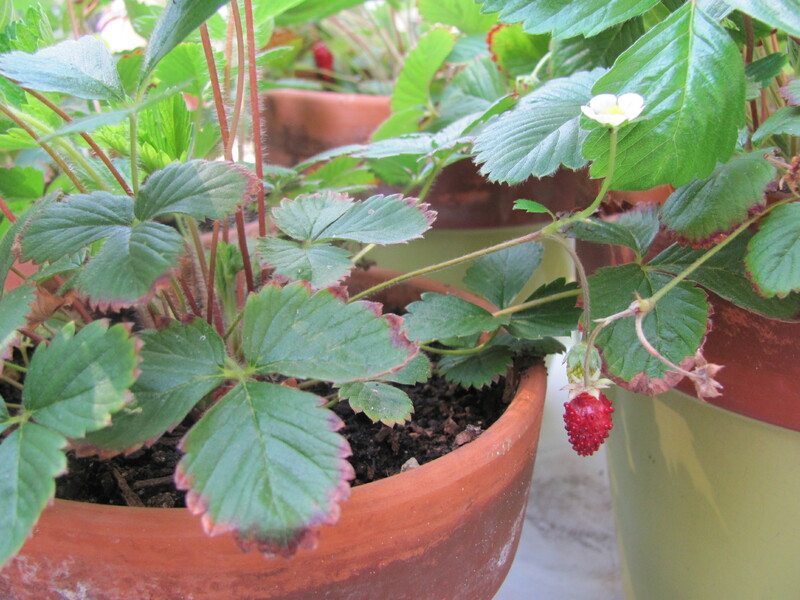 However, most people don’t realize that they can grow their own fruits and veggies in their own backyard… even in pots on a terrace. 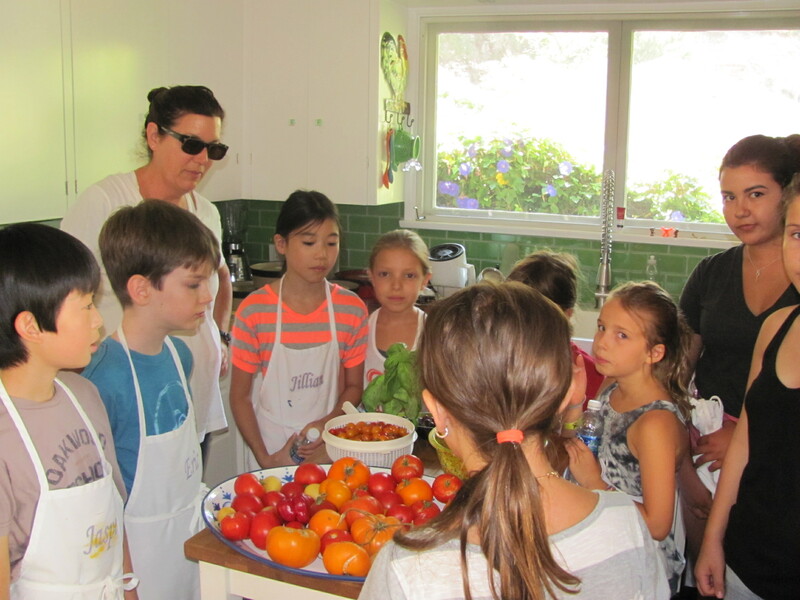 On the last week of cooking camp, we took a field trip right around the corner to what I like to call The Plestis Farm. My friends Karen and Craig are actually busy professionals, but they are also gourmet cooks, so they like to have the freshest ingredients. 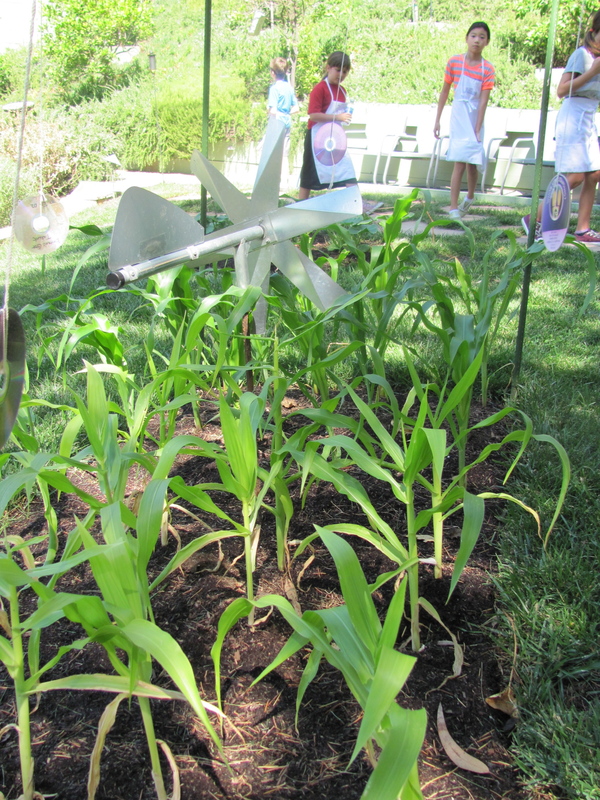 My students, ages 6-12, had a blast picking (and tasting) strawberries, tomatoes, peppers and herbs, and though the corn wasn’t ready yet, they loved the mini-cornfield on the hill. 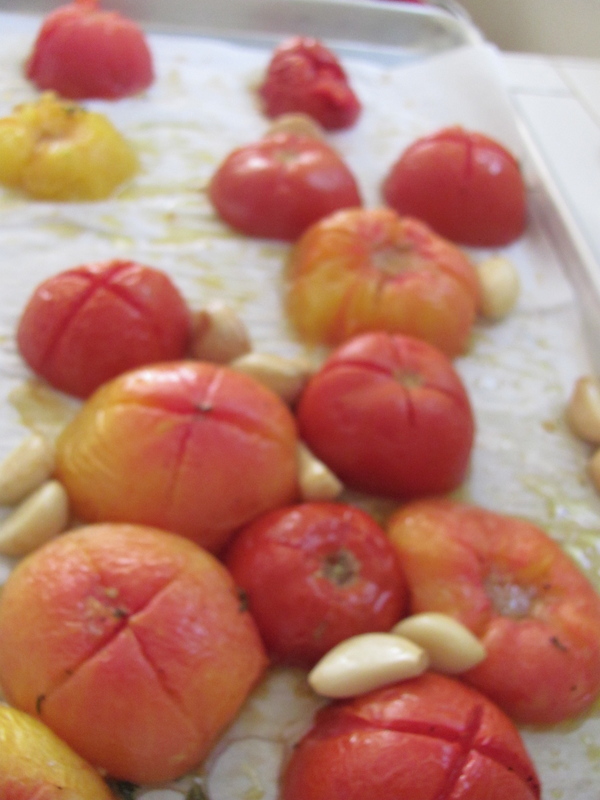 There were so many ripe tomatoes to pick… from fat heirloom tomatoes to tiny pear and cherry tomatoes. We could wait to get back to class to create Tomato Tarte Tatins, and Martha Stewart’s Crudite Centerpieces, along with cheesy cauliflower pancakes and zucchini cakes. And yes, each and every one of us ate our vegetables – how could we not? Have a great week, and remember, if you don’t feel like eating your vegetables, maybe you just need to get out there and grow some of your own. 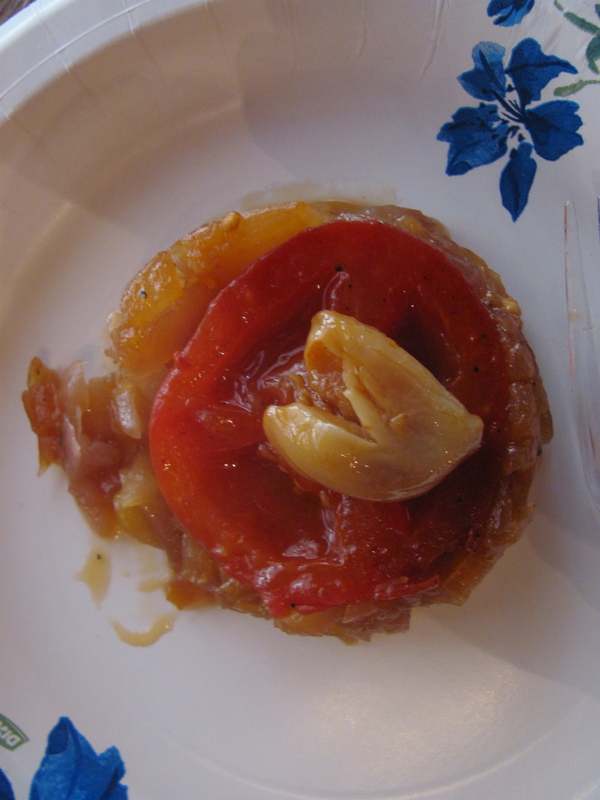 Stay tuned for the tomato tarte tatin recipe… I double dog dare you not to like it! Follow us on Facebook for more photos & info!